Whether you are a new neighbor, a long-time resident, or a prospective home buyer, you can be proud to live in this community that cherishes its trees. Since Stoneleigh’s beginnings in the 1930‘s, our tall shade trees create a cool oasis in summer, a colorful array in autumn, an effective buffer against traffic noise, and a desirable neighborhood for walking and talking with neighbors. 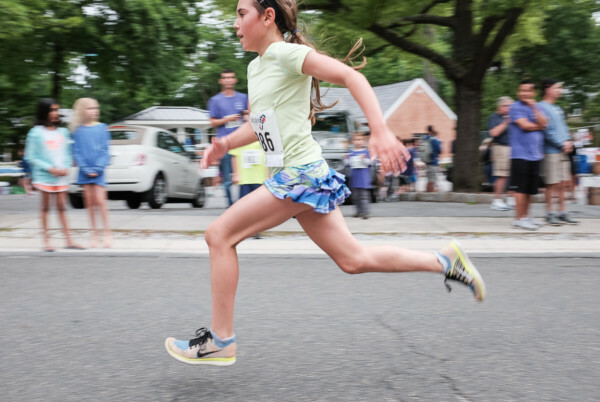 Since 1999, members of the Committee on Greening and Recycling have been helping Stoneleighites preserve our big, canopy shade trees and plant new trees to grow up for our children’s generation. Do you have questions or concerns about the big shade trees that live on your property? Contact the Preserve Our Shade Trees subcommittee. Do you want to have new shade trees planted in your yard or by the street, for only $75 each? Contact the Tree Planting Program. Do you want to help? Volunteer for Dumpster Day (our fund-raiser), join the Pruning Crews in late winter, help distribute green water bags in the summer, and nurture all of our community’s trees. 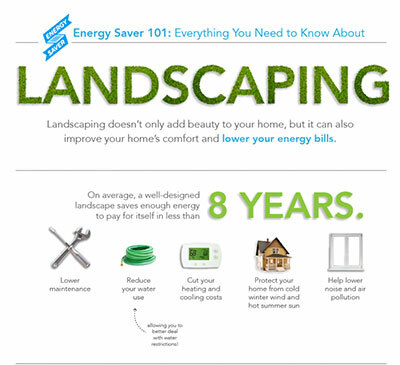 Click the image to see the full info-graphic about how landscaping can save energy and money, from the U.S. Dept of Energy. KEEP STYROFOAM OUT OF YOUR RECYCLING CONTAINER! Cannot Recycle: Please do not put Styrofoam among your recyclables for pick up. Styrofoam is NOT acceptable in our Baltimore County single-stream recycling facility, so please do not set out styrofoam material of any kind. Styrofoam (a/k/a polystyrene) quickly breaks into those annoyingly sticky crumbs and contaminates the other materials being recycled, costing the facility that sorts our recycling time and money to remove it. Try to Re-Use: If you receive packages with Styrofoam packing (e.g., “peanuts”), it is better to re-use them than put them in the garbage. Some UPS stores accept styrofoam bricks or peanuts to be re-used, but call ahead. If you cannot re-use it, then put it into the trash. Best to Reduce: Styrofoam ends up in landfills or incinerated into our air and releases a carcinogen, benzene. It poisons fish and wildlife who unwittingly eat it. It is not biodegradable. It can leach chemicals into your food. Because of its numerous downsides, many jurisdictions, from NYC to LA, are banning Styrofoam entirely. Montgomery and Prince George’s Counties, as well as Washington, DC, banned it in 2016. Some major food chains, including McDonald’s, have also dropped it. FedEx has replaced styrofoam packing materials with paper-based products. While cleaning vegetables or scraping off dinner plates, do you sometimes think about the impact of food scraps on the environment? As you read about climate change in the paper, with your coffee cup in hand, do you ever wonder if your coffee grounds could do more than add to the local land ll? If so, COMPOSTING might be right for you. Read on! And then check out compostcrew.com! 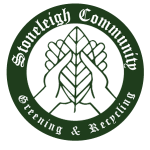 To introduce easy composting to our neighborhood at a low cost, members of the Stoneleigh have the opportunity to join with The Compost Crew and begin simple, clean, and convenient composting as a community. The Compost Crew will provide the tools (compost containers and bags) and the weekly at-home curbside pick-up services. HOW WILL IT WORK? The Compost Crew will provide each participating household with a collection bin and compostable bags. Each household only needs to separate out their food scraps and other compostable waste, just as we already do with our plastics and paper. From there they just need to leave the collection bin at the curb on the designated day of the week. The scraps will be processed at a composting facility in Maryland and turned into highly valuable compost products. Each household will be eligible to receive premium compost soil conditioner twice a year, in the spring and the fall. WHAT CAN BE COMPOSTED and WHY? As a rule of thumb, anything that grows or is made from the Earth can go in the bin. This includes meat, dairy, vegetable and fruit scraps, coffee grounds and filters, tea and tea bags, egg shells, breads and other grains, napkins, paper towels, pizza boxes, dryer lint, etc. A comprehensive list is located here: The List. By diverting the compostable portion of our solid waste away from the land fill, we significantly reduce our carbon footprint and greenhouse gas emissions, while conserving valuable nutrients and improving the health of our local soil. HOW MUCH WILL IT COST? Compost crew is offering us a discounted rate of $18/household/month. No long-term commitment is required; households may pay on a month-by-month basis. If you have questions, I will be happy to try to answer them, or you can contact the Compost Crew directly at info@thecompostcrew.com or (301) 202-4450.